Today we welcome back Andy DuBois to our pages after a short break. Andy recently posted his latest musings on his own page, Mile27 about using GPS watches, and we thought it would be great to share his excellent thoughts far and wide. In his latest post, Andy looks at the use of GPS watches in training and racing and asks if we really need them and what benefits they bring to us. The latest GPS watches can give you an amazing amount of information – from current speed, distance and heart rate to altitude, VO2max and calories burnt – but are they really helping you run faster or train more effectively? Or would you be better off without one? Many people have difficulty determining what pace they should run at in both training and racing. Told to run as hard as possible for 60 minutes some have no idea what speed to run at and will consult pacing calculators to work out the “correct” pace based on previous race results. Knowing how to pace yourself over any distance from 400 metres to 100 miles doesn’t come from consulting pace calculators or heart rate zones and monitoring this with a GPS watch as you run. In a trail ultra your speed may vary from over 20 minutes per kilometre up a steep climb to faster than 4 minutes per kilometre for a quick descent. How do you know as you make that steep ascent if 20 minutes per kilometre pace is too slow or too fast? Maybe you can look up a pacing table for a grade 3 technical ascent that’s 2 kilometres long at the 40 kilometre mark of a 100 kilometre race with current air temperature of 22 degrees. Oh wait … there’s no such thing! So how do you know if you are going to fast? Check your heart rate? I’m not a fan of using heart rate as the basis of determining training intensity as a person’s heart rate can vary greatly from day to day, and even hour to hour. Stress, sleep, fatigue, time of day, temperature and hydration levels all affect heart rate significantly. Basing your training on specific heart rate training zones doesn’t take into account these variables. If you are running a 100 kilometre ultra (for example) and plan on taking 15 hours, that will mean you need to keep your heart rate low to ensure you can last the distance. Keeping your heart rate at less than 75% of your maximum seems like a sensible approach. So you set your GPS watch to beep anytime your heart rate gets above 75% of your max. As you start the 2 kilometre climb your heart rate rises until barely a few hundred metres later your watch is beeping at you saying slow down. You look at your pace and see you are doing 20 minutes per kilometre. How much slower can you go? Presuming that your GPS watch knows best you slow down to 30 minutes per kilometre but still your watch beeps. You slow down further so now you are walking about as fast as someone climbing from the South Col on Everest. Is that the best idea? Plenty of GPS watches now on the market, but sometimes the best one is a free one that you’ve owned all your life! Could you actually handle a period of time at a higher heart rate knowing that you can recover on the descent? If so how long can you spend with your heart rate high? These are questions that no watch can answer and you won’t find it in any pacing tables. Relying on heart rate or average speed to monitor your effort in an ultra is not an effective means of monitoring effort. The ideal watch will tell you exactly how fast you should run according to distance, temperature, terrain, stress levels, etcetera. Currently there is no watch on the market that can do this. But there is something that can give you all that information and more. Best news is it’s completely free and everyone has one. It’s called your brain. Unfortunately your brain takes a bit of training before it can feed you the right information. Like anything, the more training you give it the more accurate it becomes. Good runners can determine exactly what pace they can run any distance at. If told to run 10 minutes as hard as you can off they would go without consulting pacing calculators or heart rate training zones. To increase the accuracy of your brain all you need is a stopwatch. Spend some time doing intervals, for example 8 x 800 metres aiming to get your times for each rep consistent within a few seconds. Take a time check every 200 metres to keep an eye on how fast you are going. Another great way is out and back runs. Run 5 minutes out, turn around and try to make it back in 5 minutes, rest and repeat, trying to run the same distance out and still make it back in time. Go too fast early and you won’t make it back in time, go too easy and you’ll make it back with time to spare. Constantly monitor your perceived rate of exertion during all runs. Pay attention to your breathing rate, assess how your muscles feel, monitor your energy levels and your mental alertness. All these things give you information that you can use to adjust your pace. This is something that takes time to learn but the more you keep looking at your GPS watch the less you learn to connect with the subtle signals your body is giving you. Come race day it’s such an important skill to know when to back off and when to push hard. 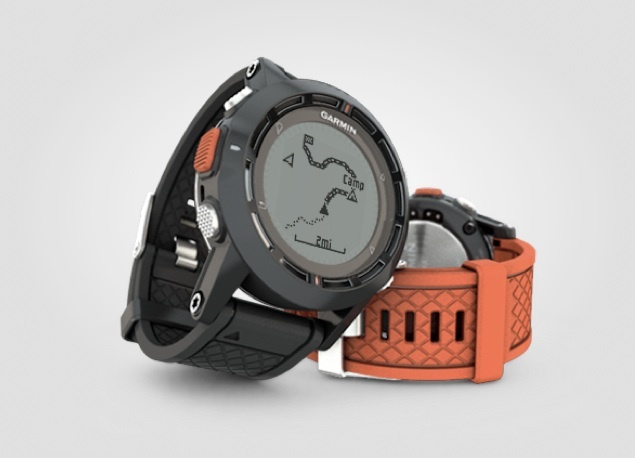 So are GPS watches a waste of money? There is certainly a place for them and then can definitely help your training. But the information they give you should be combined with the information your body is giving your brain. Interpreting the body’s signals should be given a much higher priority than the information from your watch. Unfortunately it is hard to learn how to read your bodys’ signals if you always run by your watch. Brilliant information and very true. When you think of it how many GPS watches would you find can in the elite marathon training camps in Kenya and Ethiopia? Love this post — reinforces my Luddite leanings and resistance to buying a GPS until recently. I still only use it for the satisfaction of knowing how far and how high I’ve run. Pacing still comes from the watch and the internal governor. Out and back and loop runs with efforts at even splits give more feeback, without bells and whistles, than heart rate or other technology will. Too bad you can’t post your internal GPS tracks on Strava. Hi. Well-written post, but I would say that “training” and “racing” are fundamentally different activities, and it felt to me like they are lumped in together within this post. Pingback: ultrarun.dk | Jeg har brug for et nyt ur, ikke? I agree with the main motivation of the article, but one beneficial use is measuring your distance/ascent in unknown places with ease. Who wants to drive a course prior to a run? Or have to run the same course every day just because it is 5 miles and you know your expected time. Or drop pins on Google Earth until your trackpad thumb hurts? I much prefer just to press start on my GPS (and ignore it until the end of a run) and then be able to compare with other similar runs. My 2 cents. black ambit 2 do you have to wear a belt around your body for your heart rate or dose it pick up a pulse from your wrist.